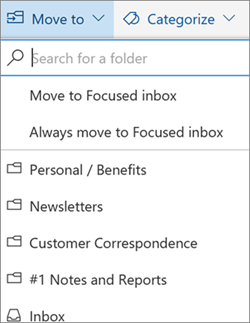 Focused Inbox sorts your email into two tabs: Focused for your most important messages, and Other for the rest. Select Settings > Focused Inbox. Select the Focused tab, or the Other tab. Use filters to choose which messages to display. Under Conversation view, select Off. Use rules to automate actions on incoming email, like moving certain messages to a specific folder. Select Add new rule or select an existing one. 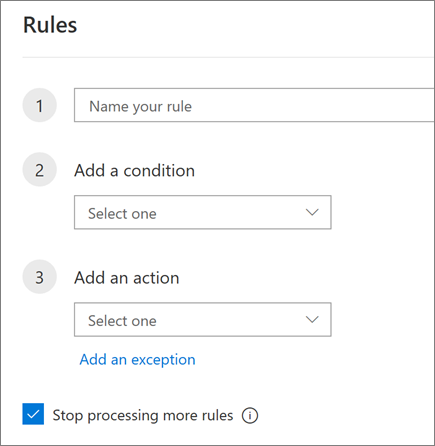 Give the rule a name, select a condition, and select an action. 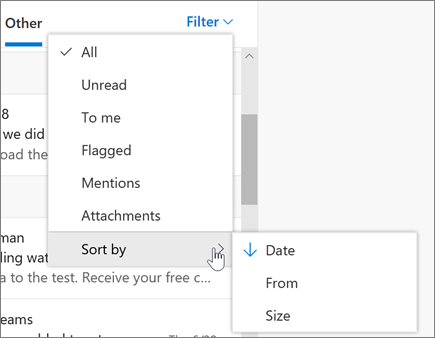 Keep your inbox clean by archiving messages that you’ve replied to or acted on, but don't want to delete or move to a folder. Choose one or more messages. Or select Archive along the ribbon. Archived items are easy to find from the search box or in the Archive folder.